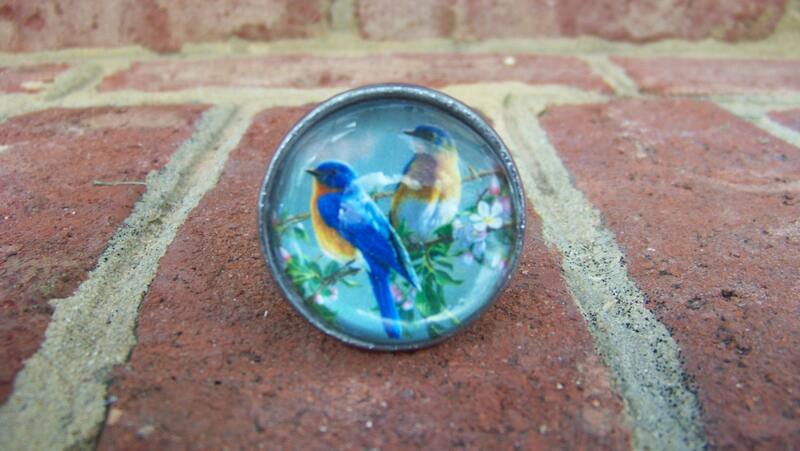 Two Birds on a Branch Metal and Glass Knob/Drawer Pull is made up of blue, green, yellow-gold, white, and pink. The metal is silver in color and circles the glass dome over the image. This knob can be used on furniture, cabinets, jewelry hooks, and other diy projects. This listing is for 1 This listing is for 1 Two Birds Sitting on a Branch Metal and Glass Knob/Drawer Pull.